FAQ and Articles - Simple troubleshooting of most common screen issues. 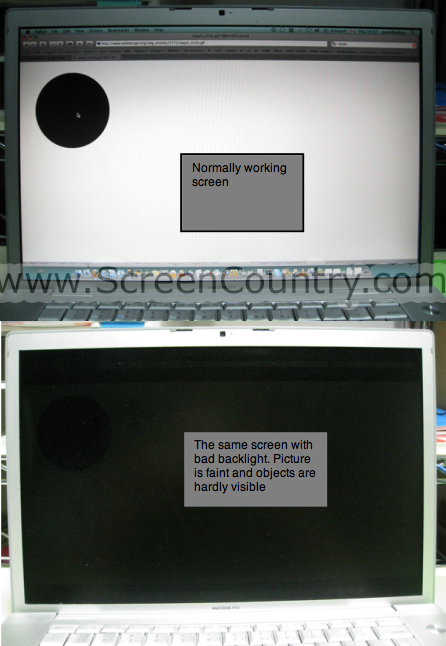 HomeFAQ and Articles	Simple troubleshooting of most common screen issues. 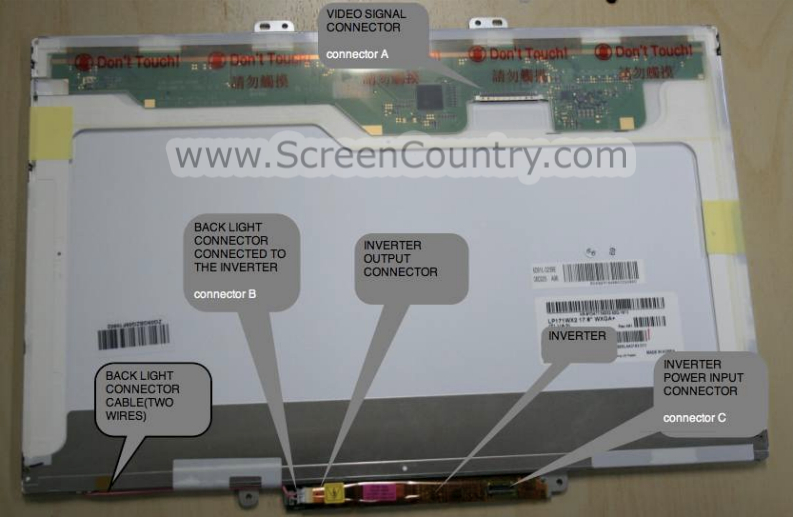 This is what most common CCFL-LCD with inverter attached looks like (screen with Cold Cathode Fluorescent Light backlight). 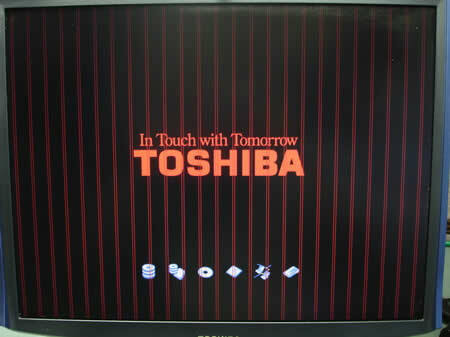 Connection "A" - screen receives video signal from the video card cable. Connection "B" - socket for backlight cable of inverter (not all laptops have it, in most cases there is just the cable by itself). Connection "C" - power connection for the inverter. 2. Issues with the video signal. 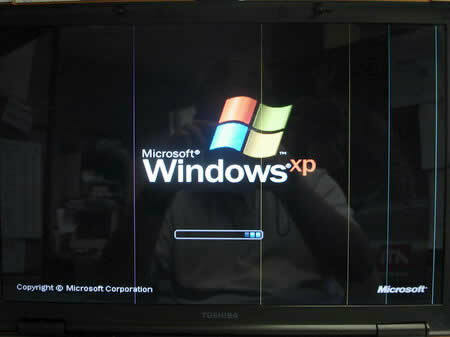 Issues with the video signal may be caused by the video card, motherboard, cable, defective screen, etc. 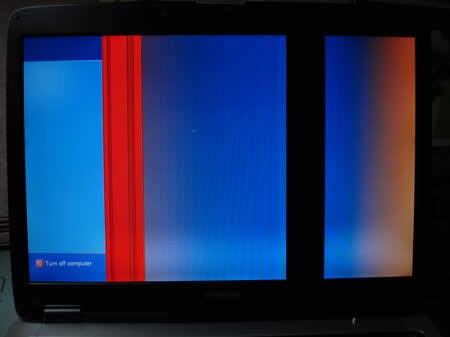 In these cases screen lights up, but the image is corrupt. ATTENTION! 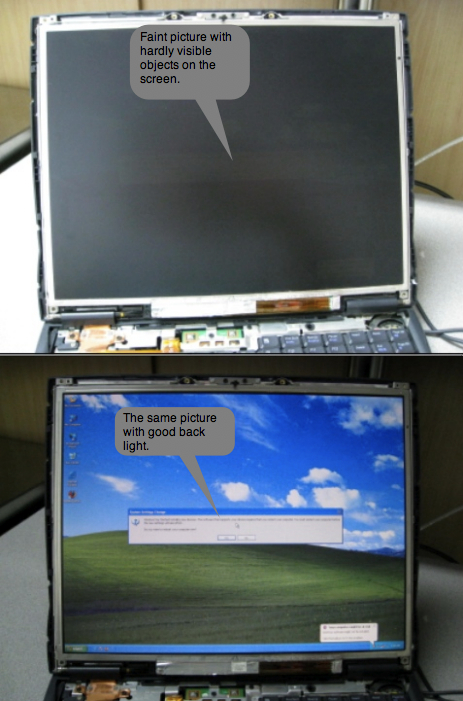 Before installing the screen it is necessary to remove the battery from the laptop and disconnect it from the adapter in order to reset the video card for it to recognize your new screen. Skipping this step may cause issues with the video signal. Problems with the backlight may be caused by the incomplete or improper installation, defective inverter, fluorescent tube or lack of power from the motherboard to the inverter. Plug the connection "B" to the inverter. Connection "C" must be connected to the video card. Connection "A" must remain unconnected. Turn the laptop on. 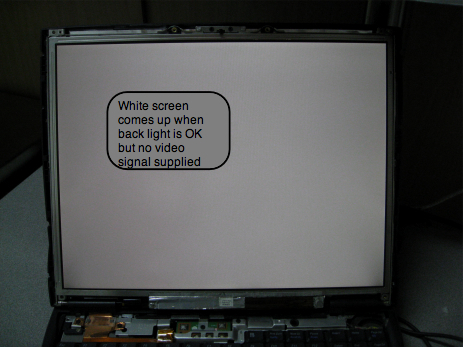 If backlight is functioning, you will see white screen (as shown on the picture below). Also, you may find this article helpful. Please see pictures below for more examples on what typical issues caused by motherboard (video card), cables, incomplete connection, etc. look like. 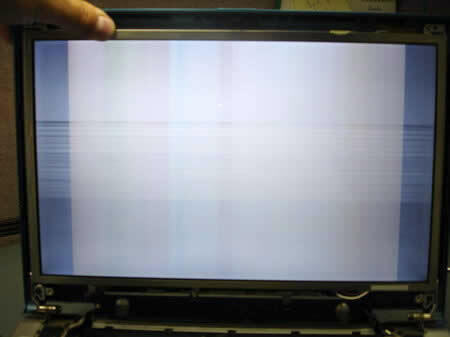 If your screen issue looks similar, do not jump to conclusions, because only a professional diagnostic may help you determine the cause. 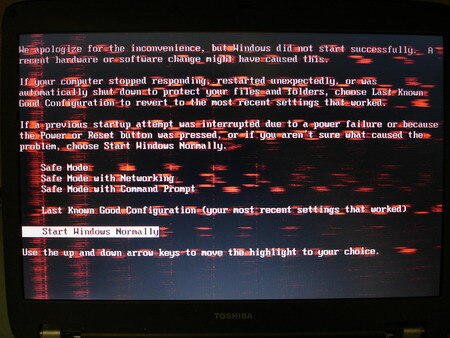 Defective screen, cable or motherboard. 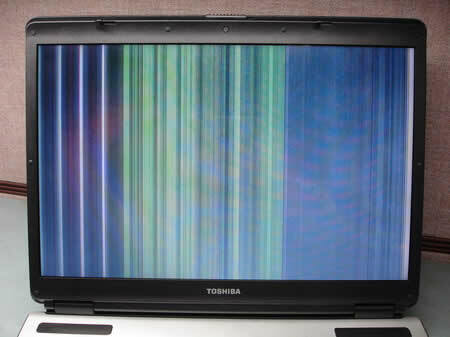 Defective screen (usually physically damaged). 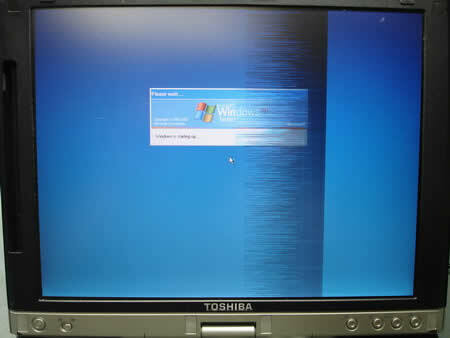 Defective screen, cable, or mother board.